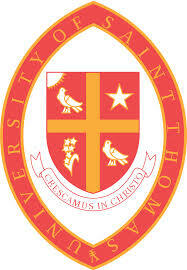 We are the University of St. Thomas, the Catholic university in the heart of Houston. We are committed to the Catholic intellectual tradition and the dialogue between faith and reason. By pursuing excellence in teaching, scholarship and service, we embody and instill in our students the core values of our founders, the Basilian Fathers: goodness, discipline and knowledge.